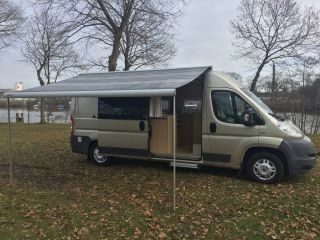 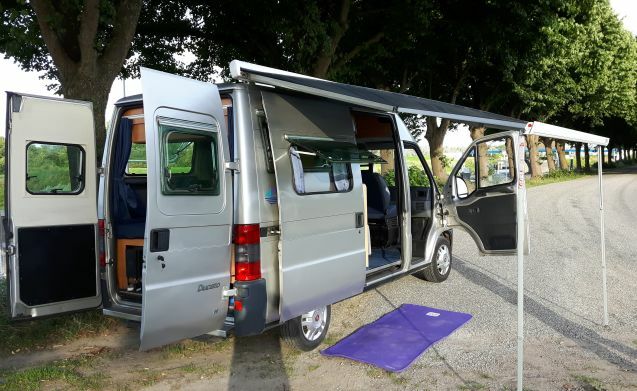 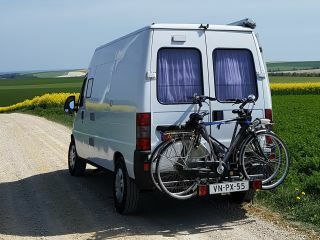 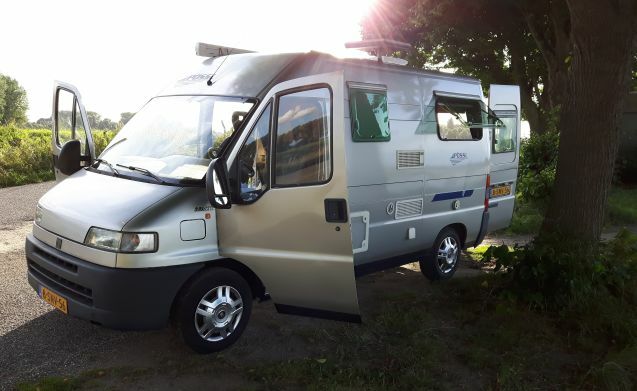 Compact 2 person Possl camper 2.8 td. 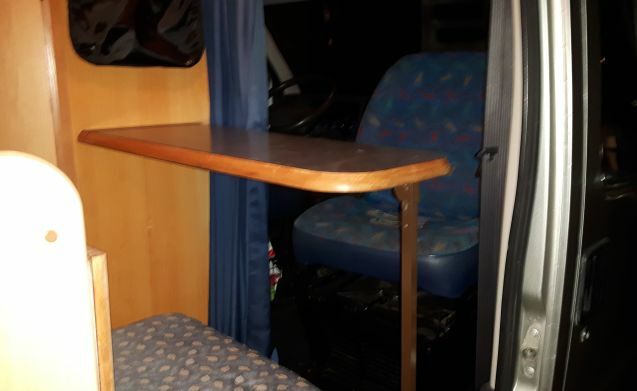 Swivel side driver seat makes a very simple seat on folding table and chair in front. 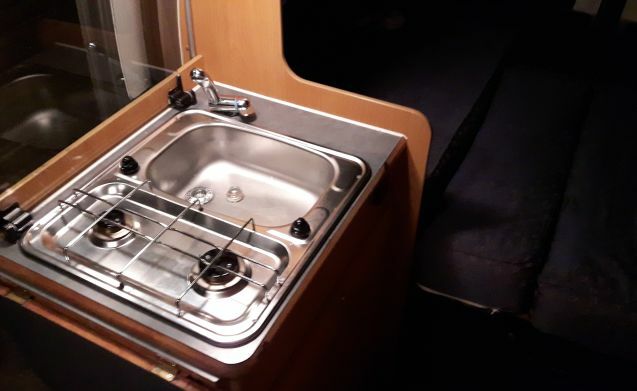 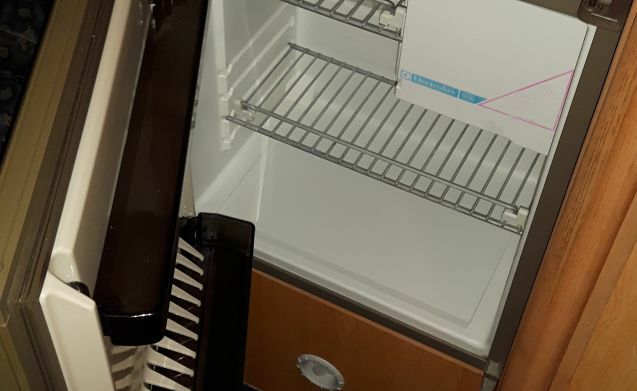 Kitchen unit consisting of refrigerator (gas, 230 volt and 12 volt), 2 burner gas stove and sink with hot and cold water. 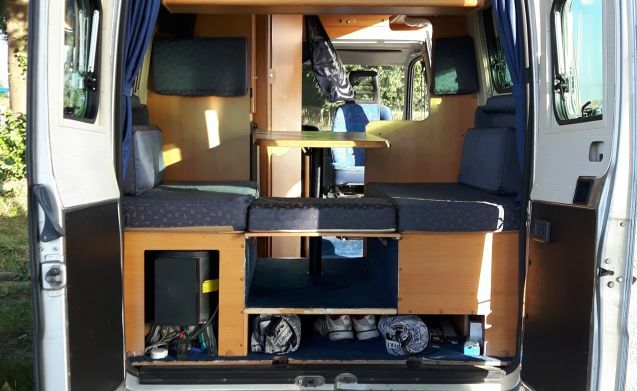 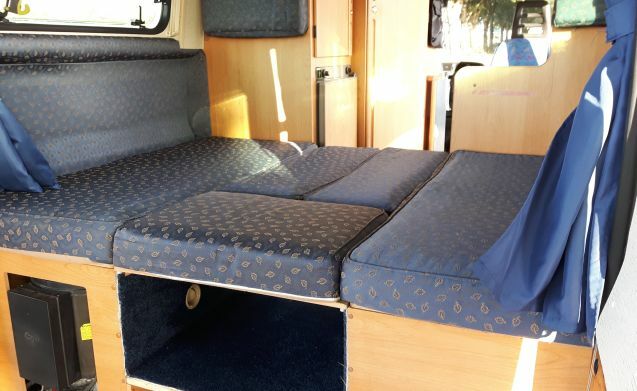 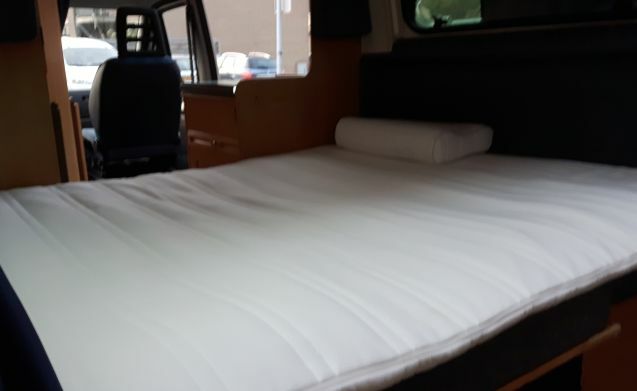 Rear view of nice sitting area to build up to double bed (194x135cm) flour with extra mattress. 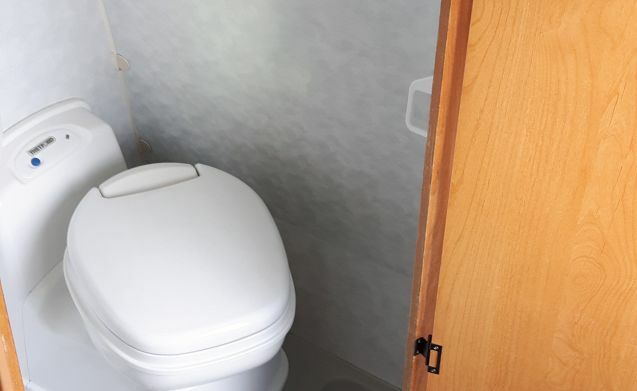 Separate bathroom with fixed cassette toilet and sink. 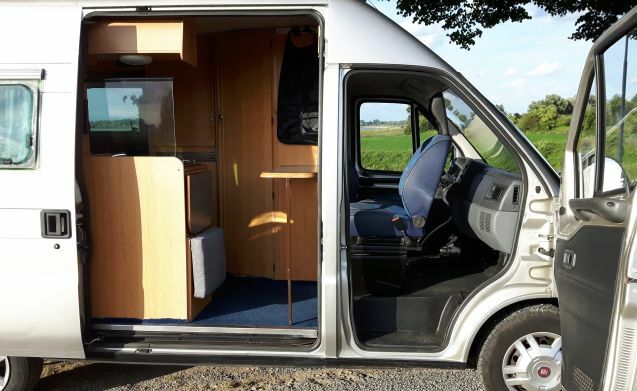 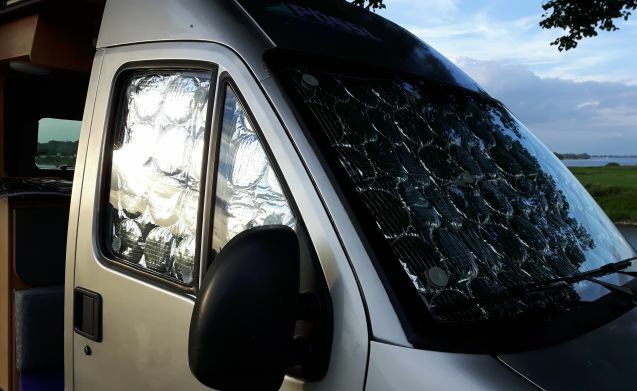 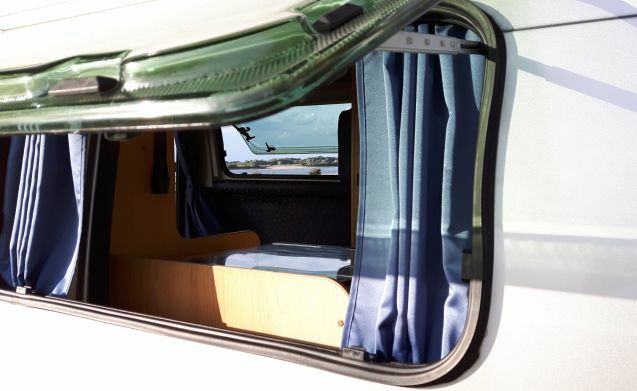 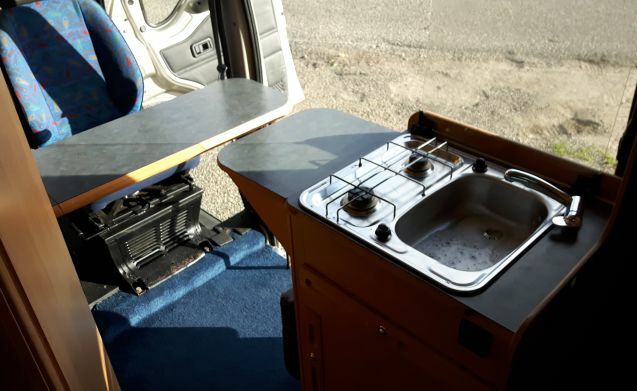 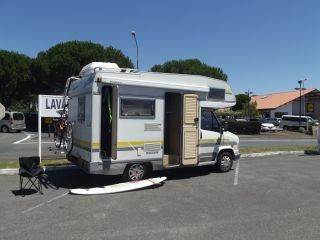 All in all, a nice little camper, with basic facilities. 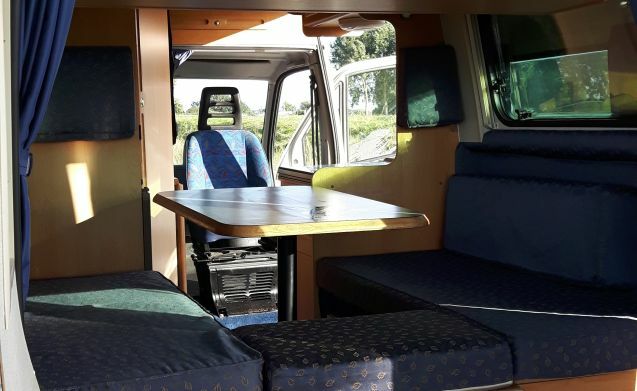 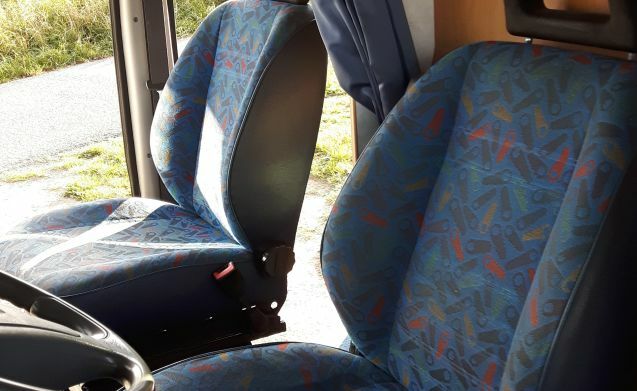 No luxury but a practical travel bus.